"31st Annual Oma's Christmas Fair. Three Buildings of Vendors Featuring Handcrafted/Handmade Merchandise.Bake Sale, Food And Drink Concessions, Scheduled Visits And Photo's With Santa, Lunch With Santa On Sunday. $3.00 Adult Admission, Children Twelve And Under Free. Free Parking." Admission Fee: $3.00 Adult Admission, Children 12 and under free. This fee includes 1 Eight Foot Table And Two Folding Chairs. Table Cover If Needed $5.00 Refundable Deposit. Applications are available here and are due by November 30, 2014. For more information, view their Vendor Agreement, visit their website or contact their event coordinator, Marilyn, at kmculak@gvtc.com / 830-537-4096. "There will be many vendors in 10x10 spaces selling the top of the line hand made crafts and various other commercial items. The event is to raise funds to support the students of Allen FFA and the agriculture science classes in their many travels and student projects. We look forward to a bigger and better event. We hope that you will join us for a morning of fun-filled activities. We will have door prizes, silent auction with several stop times and items, concessions and a bake sale." No admission fee ~ donations accepted to support the FFA's Charity "Feeding America"
Bring your own chairs. This fee includes free Breakfast/Coffee. For more information, visit their website or contact their event coordinator at stacy_schertz@allenisd.org. "This is the Ultimate 21+ Girls' Night Out Event! Shop from about 20 vendors, Enjoy cocktails, wine, other drinks, appetizers, prize drawings, massage, free samples, and More! Origami Owl, Stella & Dot, EVs Jewelry, Damsel in Defense, It Works!, Younique, Perfectly Posh, Bodywork by Drake are Confirmed." Admission Fee: Tickets are $16-$32, but check their current specials. 1. Place goodies in 120 Swag Bags, no cost for this! 2. Personal Vendor: $50 4x4 space, no company affiliation. Excellent condition clothing/shoes. 3. Vendor Space: 8x8, No extra cost for Electricity! $100-$140. Discounts are available if samples or services are offered. Each vendor gets 2 bar drinks, other drinks, appetizers, and can enjoy the same goodies as guests such as massages, prize drawings, etc. For more information, visit their website / facebook page or contact their event coordinator at sipshopswag@yahoo.com. "Over 40 booths under one AC/heated roof for your shopping pleasure in Lewisville at the Kim's Tae Kwon Do Institute, in the soccer stadium section. Food trucks will also be located at the show." Applications are available here and are due by September 30, 2014. If you refer two vendors, you can earn a free booth at their next event. For more information, visit their website or contact their event coordinator at event@josicare.com / craftshow@josicare.com 972-839-5972. "Armstrong Middle School PTA Direct Sales and Craft Bazaar - Come support Armstrong Middle School while you do all of your holiday shopping. Shop locally and support local businesses, while raising funds for Armstrong projects, field trips, supplies for Fine Arts, technology and other departments, and more! Admission is free." Booths are approx 10 X 10 and cost $25. All displays must be free standing. Tables, chairs, and electricity is to be supplied by each individual vendor. PTA members get a $5 discount. Applications are available here and are due by November 10th, 2014. For more information, contact their event coordinator, Elizabeth, at elizabeth.fenter@gmail.com / 817-917-1889 (call/text). "One day event featuring crafts, vendors, items made by people with intellectual disabilities, snacks and drinks. Weather permitting, there will be games and activities outdoors." Tables (6' x 2') available at $5 each, two chairs provided at no charge. Limited electricity available for $10. Fee includes 2 chairs. For more information, or contact their event coordinator at jeanjewell@greenoaksschool.org / 817-861-5000. "Come join us for the 1st Annual SeptemberFest at Christ Church in Fort Worth! We will have indoor and outdoor vendors set up, there is enough room for over 100 booths (business and vendor). There will be free bounce houses, live performances from 12pm-2pm, food, and much more!! There is a $2 admission per vehicle, but that comes with a raffle ticket for some amazing prizes. The proceeds benefit the Christ Church Women's Ministry." Admission Fee: $2 admission fee per vehicle. The proceeds benefit the Christ Church Women's Ministry. "Pantego Fest is an outdoor festival in Pantego, TX to celebrate this small town with big city opportunities. The family friendly festival will have over 70 vendor spaces for arts and crafts and local businesses, live music and entertainment and kid safe play zones. " "The Covenant Flea. Handmade Arts and Crafts for the Soul. Join us September 27th from 3-9pm for an outdoor festival of food, music, lots of vendors and fun. Come early, Stay late. Rain or shine. Tell your friends and bring the family! $5 per person or $10 per family, cash admission at the gate." "St. Elizabeth Ann Seton Holiday Craft Bazaar - 70 handmade craft booths, raffle table & food! Proceeds help support parish and community activities." This event is booked for vendors. For more information, please visit their site, read their Press Release, or contact their event coordinator at Arlene (President) at vc62@verizon.net or Helen (Event Chairperson) at helenwarren@verizon.net. "4th Annual Holiday Gift Market. Your one stop shop for your shopping needs! Over 50 fabulous vendors featuring clothes, home decor, holiday decor, antiques, health and beauty, jewelry, upcycled finds, and much, much more! Admission is $2 and a portion of the proceeds will benefit CASA of Johnson County." Admission Fee: $2 with a portion of the proceeds benefiting CASA of Johnson County. Each admission receives a door prize entry! Booths are 10 X 10 and cost $50. Booth fee includes one 6x3 table and two chairs, as well as electricity. Applications are available here and are due by October 1st, 2014 November 1st, 2014. For more information, view their Vendor Letter or contact their event coordinator at christmasincleburne@yahoo.com / 214-755-7652. "Come join us for our 7th Semi Annual Holiday Market & Expo - Win Door Prizes, Get all your Holiday Gift Buying done early and All in One Place." Booths are 10 X 10 and cost $45, must bring your own tables. All vendors are asked to Donate a Give Away worth a sell value of $20. Electricity is additional $10 cost. Indoor, includes 2 chairs. Please email be first before sending payment to avoid duplicate vendors. Applications are available here and are due by October 15, 2014. For more information, contact their event coordinator at sischap@sbcglobal.net. Booths are approx 10 X 10 and cost $55. All spaces are uncovered and on asphalt. No in-ground stakes can be driven into the asphalt. No more food vendors or electricity available. Registered Vendors for the Kaufman Texas Scarecrow Festival will be marketed and promoted on our Facebook site prior to the festival. For more information, visit their website or contact their event coordinator at tourism@kaufmanchamber.com / 972-932-3118. "Lots of vendors! Fabulous door prizes every hour! Vendor Booth Bingo! Proceeds help fund the LCS scholarships!" For more information, visit their website or contact their event coordinator at sjtownsley@hotmail.com. "Craft-Vendor Fair and All-You-Can-Eat-Pancakes! A fun day of shopping (load up on those Christmas gifts) and yummy breakfast all day!" Booths are 4FT and 8FT tables. There is no fee, but they ask that you donate 25% or more of your day's profits to Quo Vadis Educators. Chairs and electricity provided. This is indoors. Bring your own extension cords, tablecloths, money for change. Applications are available here and are due by October 25th, 2014. For more information, contact their event coordinator at anac2000@verizon.net / 214-682-9117. "Get your Christmas shopping started early with a variety of crafty vendors!" Booths are $30.00 for a 6ft table space. Vendor must supply their own 6 foot table and chairs. Outdoor event. Applications are available here and are due by October 1st, 2014. For more information, visit their website or contact their event coordinator, Tiffany, at admissions@act77.org / 972-414-7700 between the hours of 8:30 - 2:30. "The 12th Annual First United Methodist Church Plano Craft Fair is Saturday, November 8 from 10:00 am to 5:00 pm and Sunday, November 9 from 10:30 am to 3:00 pm. The church address is 3160 E. Spring Creek Parkway, Plano, TX 75074. Admission and parking are free. 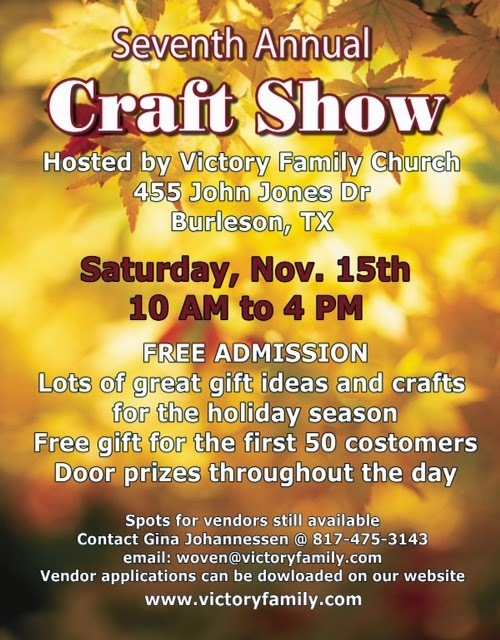 This event features more than 90 vendors selling their unique arts and crafts, handmade gifts, woodworking, jewelry, holiday collectibles, knitted and quilted items, and some product lines." This fee includes 2 chairs and free lunch. Applications are available here and are due by November 05, 2014. For more information, visit their website or contact their event coordinator at fumcplanocraftfair@gmail.com / 214-924-3121. "Multifamily church rummage sale featuring handmade craft booths too. HUGE selection of items to choose from, including: Clothing, books, stuff for baby, toys, school desks, chairs, musical instruments and home decor. A silent auction will be held for some pianos. Hundreds of items price $5 or less." This fee includes free parking. Applications are available here and are due by October 09, 2014. For more information, contact their event coordinator at Judi.Walls@FairviewBaptistGP.com / Phone: 972-264-6277 / Fax: 972-264-6278. "The 10th annual Jack E. Academy Craft Fair will be December 13, 2014 from 9 a.m. to 4 p.m. at 4601 N. MacArthur Blvd. In addition to the silent auction shoppers will enjoy delicious food, hand crafted items, health and nutrition products and services,clothing and jewelry and many holiday gift ideas." They have very few electrical outlets available. There will be an additional $10 fee and these are on a first registered, first served basis. For more information, contact their event coordinator at oweber@irvingisd.net. "The Swoon Event is a boutique wedding show and market featuring primarily non-traditional and handmade goods, services + inspiration for locals who are planning a wedding or shindig. This show is intended for couples who seek creative touches and value local businesses long after the honeymoon. We also encourage a collaborative environment where industry pros can connect with up-and-coming artists + entrepreneurs." right at the intersection of Lamar Street and Belleview Street. Admission Fee:$8 online, and $10 at the door. Must be 21+ to enter. Fee includes features on all social media, as well as a link and logo on the website, and marketing in the event flyer for the attendees. All tables and anything else needed to design your booth must be brought on your own. Tables are for rent for $10 each, electricity is $15. For more information, visit their website or contact their event coordinator at hello@theswoonevent.com. "Join us for the 6th Annual Celina Bobcat Bazaar scheduled Saturday, November 8th from 9am-3pm at Celina High School. Shop 'til you drop from over 60 unique vendors featuring arts, crafts, home décor, school spirit items and more! Door prizes will be awarded from 11am-1pm. All proceeds benefit the outstanding band programs in Celina ISD." Booths are 9 X 10 and cost $40. Late fee of $20 applies after October 25th, 2014. Tables (6ft) are available for $10. Electricity is $10. Fee includes chairs and assistance in unloading/loading at the event site. Applications are available here and are due ASAP! For more information, contact the vendor coordinator at celinabobcatbazaar@gmail.com. "Join us for our 3rd annual Holiday Craft Fair! Each year, we invite a variety of vendors to join us in selling their wares. Our fair hosts everything from homemade baked goods, handmade baby quilts, jewelery, note cars, bird feeders, and more! If you are looking for that perfect, individualized gift for the holidays, we are the place for you!" Each booth has 2 chairs. Vendor must supply their own tables. Applications are available here and are due by Nov 30th, 2014. "Mark your calendar and get a jump on your holiday shopping! You'll find one-of-a-kind items and support CitySquare's efforts to help the poor here in Dallas." Booths are 8ft rectangular tables and there is no fee. They only ask for a voluntary donation to benefit our mission partner CitySquare. Applications are available here and are due by September 20th, 2014. For more information, visit their website or contact their event coordinator at aadcox@wilshirebc.org / 214.452.3100 / jennifer@e-wagner.org. For more information, contact their event coordinator at shelly@catalystcommercial.net / 972-467-6958. This fee includes electricity and chair. Applications are available here and are due immediately. For more information, visit their website or contact their event coordinator at mrklynne@sbcglobal.net. "You're invited to join us at our 14th year of shopping at the Snowflake Holiday Bazaar! We have over 100 vendors featuring Seasonal items, Gourmet food, Fashion, Jewelry, Candles, Spirit wear, a Raffle and more!" Parker Road and Willowbend intersection. For more information, visit their website or contact their event coordinator at pwbandsnflkbazaar@hotmail.com. "Local Basketball Tournament located in Grapevine Texas"
Admission Fee:Admission is only required if you are entering gyms to watch tournament games. If you are only shopping, you won't be required to pay an admission fee. Booths are 10' wide, indoors, and cost $50. GHS Bball does not provide electricity or facilities. Vendors must setup, cleanup, and provide their own tables. Applications are available here and are due by October 2nd, 2014. For more information, contact their event coordinator, Amy, at fundraising@ghsmustangsbasketball.org / 214.549.3011. Booth 15 X 15 for $45. Applications are available here and are due by November 02, 2014. For more information, visit their website or contact their event coordinator at 2ndannualchristmasfestival@gmail.com / 817-691-2899. "Annual Honeycomb Holiday Market - Holiday shopping at it's FINEST!! Join our BHS Honeycomb Drill Team and SHOP TIL YOU DROP! Over 100 area crafters and home based business will be available to help you finish you holiday shopping. Pictures with Santa and the Honeycomb Elves, bake sale, concessions and gift wrapping will also be available!" Admission Fee: $1 admission or canned good donation to benefit the FRG 136th Airlift Wing Readiness Group. Booths are 10 X 10 and cost $40, $10 extra for electric-Vendor must supply their own 50'(minimum) 3 prong extension cord. Chairs will be available on a first come first served basis (limit 2 per booth). Applications are available here. Please also fill out their Vendor Info. Forms are due by October 28, 2014 November 15th. For more information, visit their website, or contact their event coordinator at bhshoneycombholidaymarket2013@gmail.com. 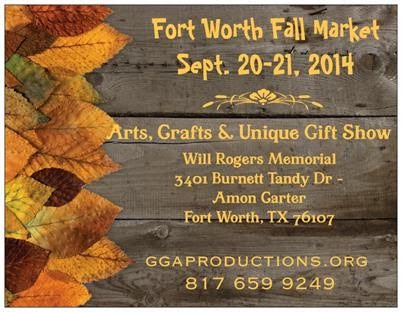 "GGA's Fort Worth Fall Showcase- Arts, crafts & unique gifts, the latest and greatest for the upcoming holiday season!" Admission is $8. Kids 12 & under, free w/paid adult. "Munger Place Days’ Street Festival and Craft Fair is a rare opportunity to shop for unique arts and crafts in a fabulous neighborhood atmosphere. Munger Place Days’ Street Festival and Craft Fair is Free, and offers live music, a food truck court with 5 food trucks, and a wide variety of activities for children and adults in addition to 40 carefully selected vendors. It takes place on a beautiful tree-lined street among beautiful historic homes. Admission Fee: Free; the Home Tour does cost $15. "It’s the signature annual fundraiser benefiting Boys & Girls Club of Rockwall County and Meals on Wheels of Rockwall County! Thousands of spectators watch 5,000 rubber ducks splash into the fountain at the Harbor in Rockwall and race down towards the finish line. Duck Fest kicks off at the Harbor with a 5k and family walk followed by entertainment for the entire family – Corporate Duck Beauty Pageant & Race, Rubber Duck race, Arts, Crafts, Vendors, Food, Inflatables, and as the sunsets we keep the fun going with a live concert, fireworks and a Glow in the Dark Rubber Duck race. " Featuring Wesley's Piecemakers and other local vendors. Homemade lunch available, casseroles for sale and much more." For more information, visit their website or contact their event coordinator at wumc@wumcmckinney.org / 972-542-2228. "Tax Free Shopping! Free Admission! Come out to shop for yourself or for the holidays! This one day event features unique arts, gifts, and jewelry from vendors as well as Temple Emanu-El's gift shop. All proceeds benefit Temple Emanu-El's Women of Reform Judaism which supports various programs all across Dallas!" Table, chair, tablecloth. Electricity if needed. Lunch available for sale. For more information, contact their event coordinator, Stacy, at sehoffman@aol.com / sbruce@cobbmartinez.com / 214-220-5210. 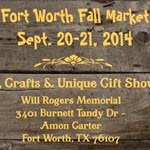 "Come shop for homemade crafts, special gifts and win door prizes! Over 50 vendors will have their items on display for purchase. 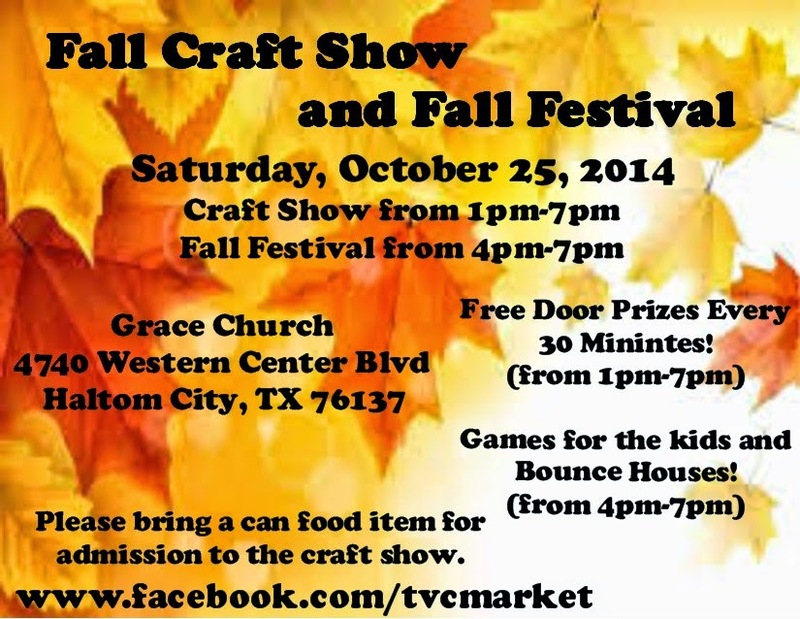 Mark your calendar to attend the 44th Annual Eunice Activity Center Fall Craft Fair!" Booths are approx 8 X 6d and cost $25. Booth rental includes one table, two chairs and a light breakfast. Applications are available here and are due by October 03, 2014. For more information, visit their website or contact their event coordinator at lonzetta.hill@arlingtontx.gov, Lonzetta or Yvonne at 817-277-8091. Booths are 8' tables (space approximately 8' X 5') and cost $30 per table. Fee includes electricity if needed and 2 chairs. For more information, contact their event coordinator, Mary Kay, at broadwayholidaymarket@mail.com / 817-291-7788. Tables or Electricity is an additional $10 per vendor. This booth fee includes chairs, coffee, and tea. Applications are available here and are due by November 08, 2014. For more information, visit their website or contact their event coordinator at woven@victoryfamily.com / gina.johannessen@yahoo.com / (817)475-3143. Available on request - Electricity (limited) -$5.00, 6' Table - $10.00. These fees include 2 chairs, 2 bottled waters, 2 snack items. Applications are available here and are due by November 07, 2014. For more information, visit their website or contact their event coordinator at barbara@brookhavenchurch.com / 214-236-8439. "Happy Fall Fest is an event for everyone. The Allen Senior Recreation Center hosts a craft/vendor market, Classic Car Show and Kids Spot with concessions. Shoppers will find a large variety or handmade and designed gift items along with specialty manufactured items. Our vendors are handpicked to offer a variety of products that are both current and popular to the people that like to shop!" "The Agora Marketplace at South Side on Lamar reinvents this ancient concept marketplace and provides patrons with a wide variety of experiences, from simple shopping to vibrant entertainment! The Agora patron will find everything from the hand-made to vintage, from clothing to collectibles and everything in between. The Agora promises a stimulating shopping experience for the adventurous consumer. Also, we will have satellite neighbor partners participating as well. Stop in Saturday, September 13, 2014 and become a part of The Agora experience!" "One day event. 930 - 4 Up to 70 booths under one AC/heated roof for your shopping pleasure. 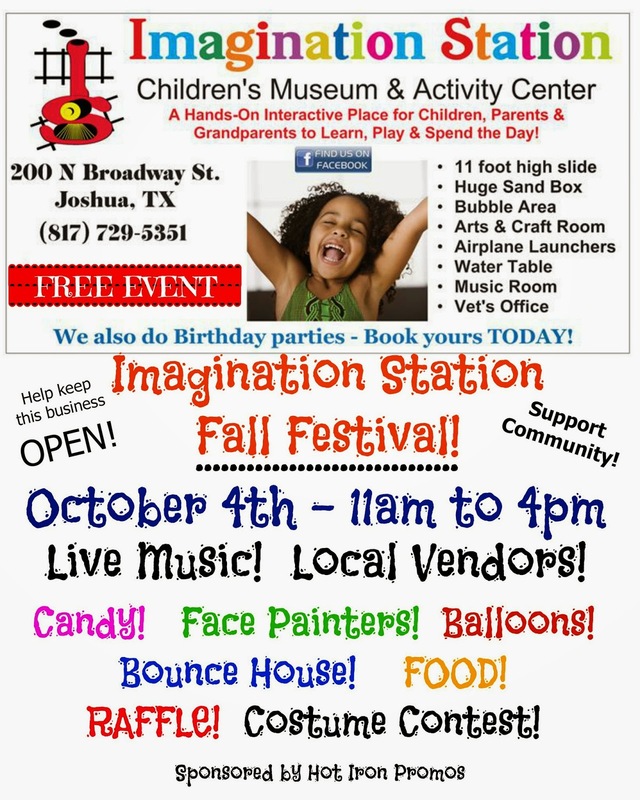 October Fall Festival is October 11, November 8, and December 13 is the Christmas show. Accepting applications and Booking booths now. We have parking for up to 500 cars. Snack Bar on site... "
"Join us for an opportunity to get all your Christmas shopping done in one location. Atria Grapevine, a retirement and assisted living community hosts our annual shopping festival featuring handmade crafts, Mary Kay and other vendors." Booths are up to 2 tables, cost is FREE, and placement in the community will be determined by the date the application is received. Vendors may request electricity on a first-come, first-served basis. For more information, visit their website or contact their event coordinator at heather.macchietto@atriaseniorliving.com / 817-416-8907 Ask for Engage Life Director, Heather. Booths are 10 X 10 and cost $25. Applications are available here and are due by September 12, 2014. For more information, visit their website, facebook page, or contact their event coordinator at mungerplacedays@gmail.com / garilister@hotmail.com. "Get a jump on your holiday shopping at the Reed Elementary PTA Craft Show & Garage Sale! Shop for craft items inside the gym and cafeteria and shop for garage sale items outside in the parking lot. Free admission! Event will be held rain or shine." Tables and chairs will NOT be provided. Only concessions available are water, sodas and candy. Applications are available here and are due by October 10, 2014. For more information, visit their website or contact their event coordinator at kerri.smith@reedpta.org / 469-667-4334. Applications are available here and are due by October 11, 2014. For more information, visit their website or contact their event coordinator, Susan, at wpcfwgiftmarket@gmail.com / 817-907-2594.